No documents are required for scholarship application. Just fill in the form and submit it. What are the criteria for awarding the Scholarship? Scholarship decisions are not negotiable. In case students are not able to maintain the required CGPA, their scholarship swill not be withdrawn immediately. They will be provided a probationary semester to improve their performance and achieve the required CGPA. Scholarships awarded at the time of admission are not enhanced further in light of your performance at the university. These are renewed automatically each semester if students maintain the required CGPA. In case students fail to maintain the required CGPA, they are provided a probationary semester to improve the performance. University based scholarships for High Academic Achievement are awarded from semester 3 onward. Students are not required to apply for those scholarships. These are offered as per University policy to student who qualify for them. It is not essential. You can only apply for financial aid also. 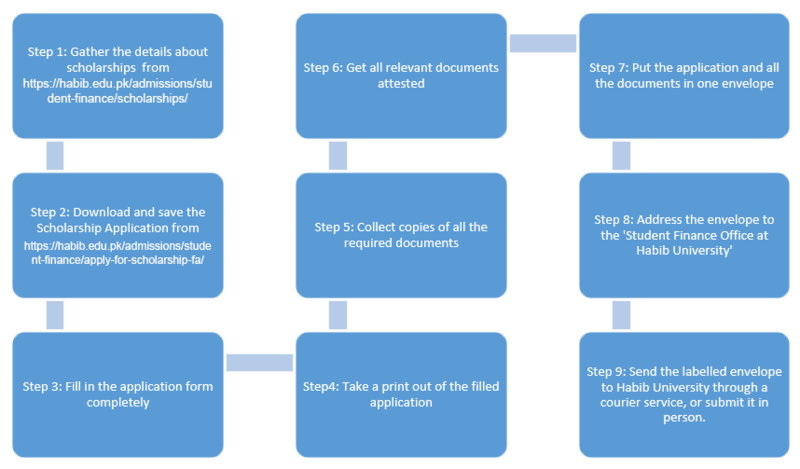 You need to submit several documents along with your application for a fair assessment of your application. 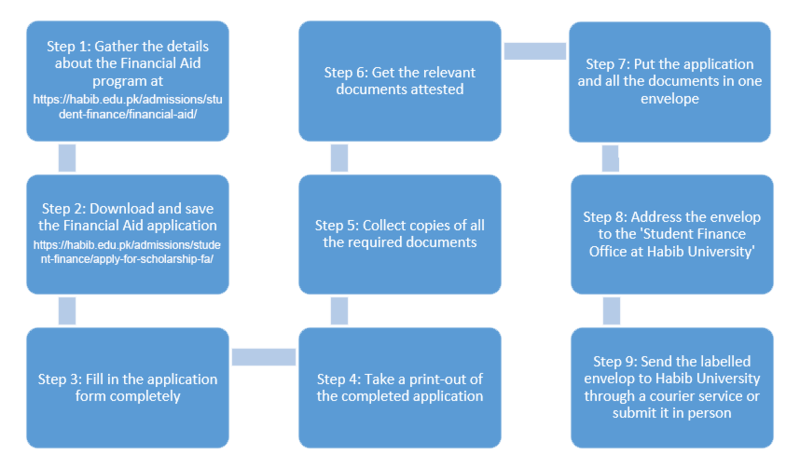 You can see the list of required documents at the front page of financial aid application. Generally, these decisions are not negotiable. If there are any special circumstances, you can discuss them with the Director Admission . We trust the capabilities of all our students and facilitate them in their academic endeavours through a variety of ways. Habib University’s writing Centre and EHSAS Centre provide remedial support to students in overcoming their academic problems. Faculty Advisors provide one-on-one guidance to students in different areas. Yes, your Financial Aid will be reviewed every year. You will be expected to submit an updated financial aid application every year. If your financial situation remains as it was declared at the time of admissions, Financial Aid will continue without any change. If your circumstances change either positively or negatively, your Financial Aid will be reviewed accordingly. Financial aid will also be affected if you will fail to maintain a CGPA of 2.33. Are grants offered by Habib University need to be repaid? Grants do not need to be repaid.